Are Regulations Costing Us Too Much? R.J. Rushdoony: 00:01 Are regulations costing too much? This is R.J. Rushdoony with a report on our threatened freedom. R.J. Rushdoony: 00:08 Recently a man who operates a business told me that a considerable part of his time is spent in filling out state and federal forms. “I’m a bookkeeper for the bureaucrats,” he complained. However, it is not only private citizens who make such complaints. Fred Hedinger, Executive Director of the Pennsylvania State School Board Association, has released an interesting bit of information. In 1979, the state of Pennsylvania got approximately seven and a half cents of its education dollar from the federal government, but it cost the state eight cents to comply with the federal regulations and administer the funds. R.J. Rushdoony: 00:54 Now, such an expense could be justified if education were improved by federal regulations. After all, it is unwise to reduce education to a matter of cost only. The results determine the value of the expenditures. In fact, however, the quality of education has declined as federal controls have increased. R.J. Rushdoony: 01:19 The experts in Washington have felt that they have more knowledge and ability to provide quality education than the local school board. Congress and the bureaucracy have taken over more and more control over education, supposedly to improve educational quality and opportunity. The results instead have been a steady decline in quality and in opportunity. The result has been also a backlash taking three forms. First, demand for more local control over state schools. Second, the growth and development of Christian schools all over the country. And third, the development of various plans for home teaching. R.J. Rushdoony: 02:04 The unhappy fact is that Washington is not getting the message. That regulations are costing too much, too much in money and manpower and wasted time and at the destruction of quality. Moreover, what has happened in education has taken place elsewhere as well. Regulations are stifling the economy, personal freedoms, and the quality of life generally. Like narcotic addicts, our society is becoming hooked on federal funds. Sports, the arts and sciences, education, big business and more all look to Washington for hand outs. The last thing many seem to want is freedom. R.J. Rushdoony: 02:49 As an editorial on The Capsule sums it up, and I quote. “The society that is hooked on federal funds is one that has totally detached itself from the ideologies of Christianity and has swallowed the humanistic funding fable hook, like, and sinker.” It is time for us to unhook ourselves. 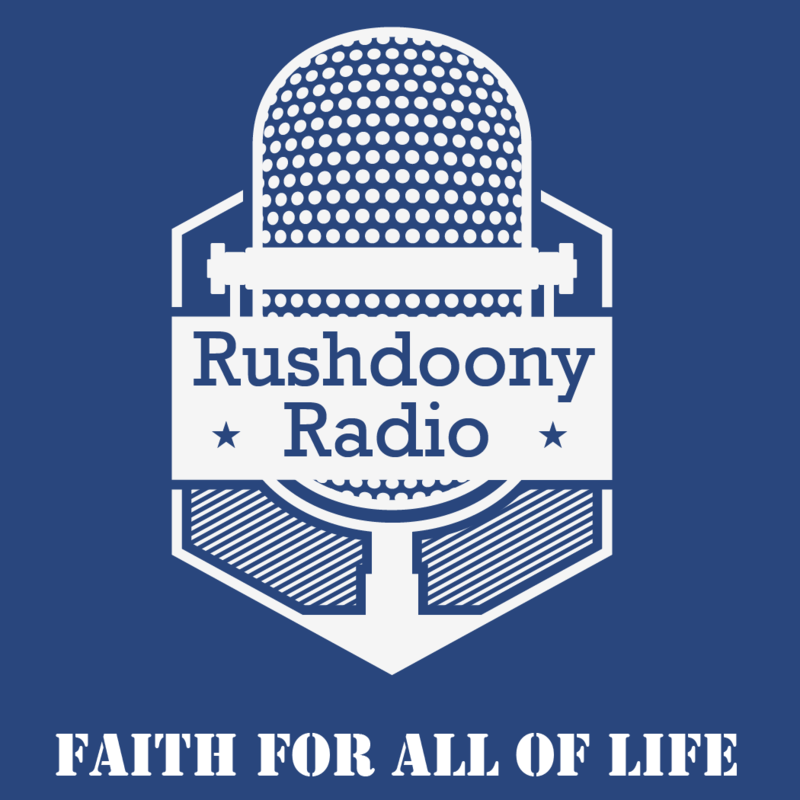 R.J. Rushdoony: 03:14 This has been R.J. Rushdoony with a report on our threatened freedom.